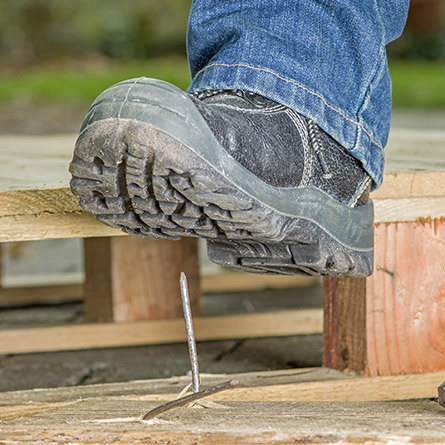 One of the most important requirements for safety shoes is protection against accidental nail punctures. Our zero perforation insoles belong to a new generation of textile products. Its breathability, flexibility and insulation properties against heat and cold, allows its wearers to perform their job comfortably while being fully protected against accidents. The material resists the 1100 N puncture during the tests. Our safety insoles can be purchased in antistatic, conductive, and insulating variants.